Simplify your lawn care with a push of a button with the 56-Volt Lithium-Ion Powerload String Trimmer with Carbon Fiber Shaft Kit by EGO. 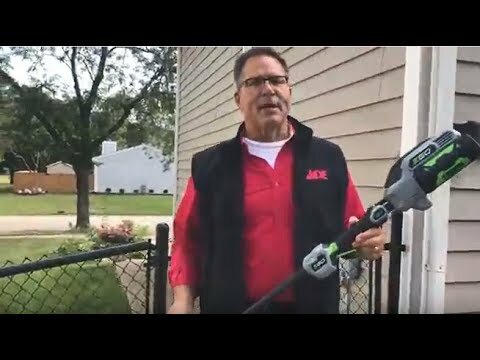 Watch as Ace’s Home Expert, Lou Manfredini shows you the innovative Powerload head design of the EGO Power+ String Trimmer. Always follow manufacturers instructions before using any product.